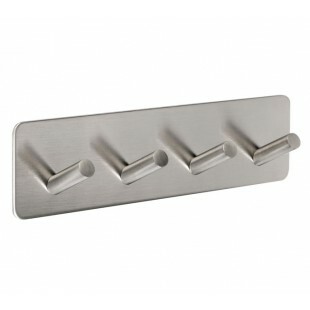 These self-adhesive coat hooks with four pegs on modern plate fits secure to cubicle partitions and doors when firmly positioned during the installation process. The innovative four peg design offers the cubicle occupier with the resources to hang numerous items including coats, hats and bags. The 4 hook coat rack is manufactured from high-quality grade 304 stainless steel with a smooth satin finish for a contemporary aesthetic. 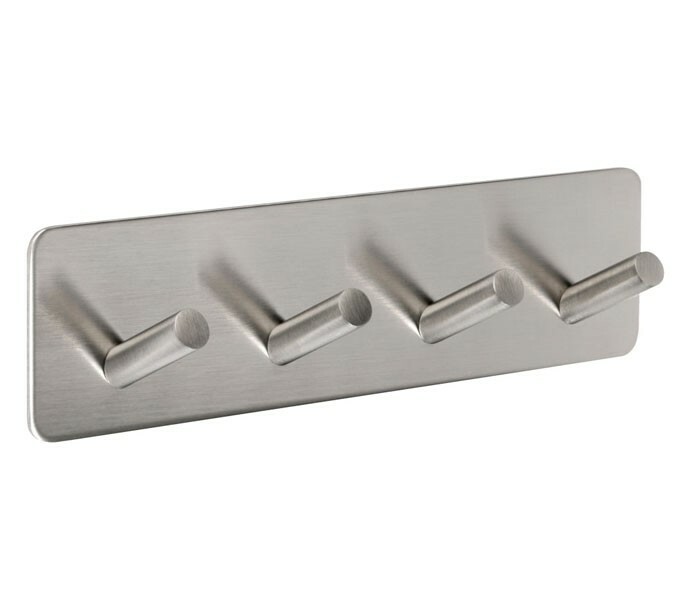 Our self-adhesive coat hooks with four pegs features a modern backplate measuring 180mm in length and 47mm in width with a 30mm projection for all four coat pegs.